Beau is Blue // Life With A 1 Year Old! I am sure you're all aware of my love for personalised things, whether it be a name plaque, a keepsake or something sentimental I am all over it. Something I have been looking to purchase for a while now is a personalised necklace, but most of my hints have fallen on deaf ears! men! When Hand on Heart got in contact with me, introducing their beautiful personalised jewellery, I fell in love with every single piece. Each one hand crafted from start to finish. So I had to get one of my own! After looking on their website for a couple of hours deciding which charm I'd like and if I wanted the charm on a bracelet, a necklace, a key ring... They have so much to choose from its a very hard choice, let me tell you! I decided to go with a Footprint Charm Necklace (£85) I love Elliott's little feet and I feel feet are just super cute. You can get this charm as a handprint too but Elliott is quite temperamental with handprints and knowing my luck he wouldn't co operate and I would end up with a print with 4 fingers... Haha! When I was told that I would get a print kit sent out to us and to get Elliott's prints and send them off to the studio at Hand on Heart, I though it would be a long winded process, but in fact it was super quick! From receiving the print kit to getting the actual necklace took just little over a week! Incredible! The print kit is sent with everything you need create your prints. Then simply send them via email to the studio, I took a photo with my iPhone and sent it that way - so easy! You can also add up to two initials on the back of the charm which I chose to do. From sending the prints in you get up to date emails with the progress of how your jewellery is getting on! I loved being kept in the loop. The pendant charm was stunning. A little footprint to treasure forever with a beautiful E engraved on the back. I must admit I did get a bit emotional, I'm blaming the pregnancy hormones. Haha! I haven't taken the Footprint Charm Necklace off yet and I highly doubt I will ever. It is so lightweight that you don't even realise you're wearing anything. I have had so many compliments while wearing the beauty, many saying that they have never seen anything like it and the have to have one in their lives too! I can't get over that I finally got my personalised necklace which I will cherish forever more. 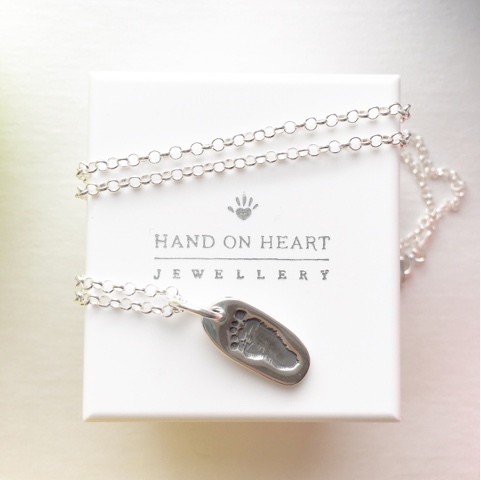 If you would like to see for yourself visit www.handonheart.co.uk or follow Hand on Heart on Twitter @HoHjewellery for all the latest updates! No Stretch Marks at 36 Weeks! Stretch marks - you either love them or you hate them! If I'm truly honest stretch marks were not on my mind at all through my first pregnancy. I never did or bought anything that would keep them at bay, in fact I only ever got 3 stretch marks which only appeared the week before Elliott made his grand appearance! I'm not one for showing off my belly anyway, but saying that I'm not embarrassed by them at all - they are just there. And as the saying goes - "You're a goddamn tiger who has earned her stripes!" 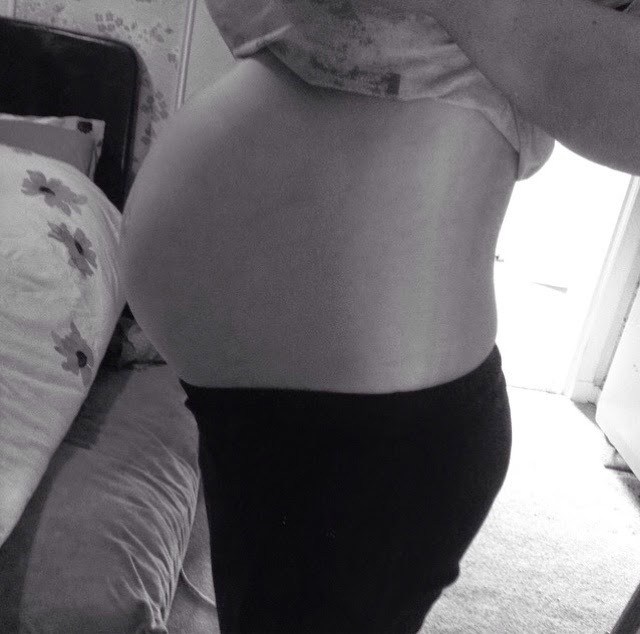 This time round however, I saw a couple of stretch marks snaking around my tum quite early on! So when Secret Saviours got in contact and asked if I would like to test the Anti Stretch Mark Pack (£69.95)(*) I decided to give it a go and see if it would keep my stripes at bay. Secret Saviours consists of an Anti Stretch Mark Band which is lined with pads of varying sizes arranged in a random pattern. This seemingly accidental arrangement is actually designed to dissipate stresses and strains and make it more difficult for stretch marks to appear! Along with the band you get a day gel and a night cream. For the day you need to use the day gel which you rub onto your bump first thing in the morning and pop the band on over the gel. The gel smells amazing, such a lovey scent and you can smell it all day which is just lovely. I must admit the gel is quite tacky but that is just so the pads of the anti stretch mark band stick to your belly and prevent those stretch marks. The night cream again smells amazing just like the day gel. The cream leaves your skin well moisturised, super soft and dries within seconds! The cream contains hypoallergenic, dermatologically tested and made with ethically sourced ingredients. The band is something that I absolutely love. Not only is is super comfy, it's like a great big hug all day every day! When you remove the band at the end of the day there is a odd pattern left on your bump but that just shows that it's doing it's job! Research has shown that the band and the gels reduces your chance of stretch marks appearing by up to 70%! I received the Anti Stretch Mark Pack at 24 weeks, it's recommended that you should start wearing the band from 12-14 weeks for the best results. I started wearing the band as soon as it arrived and have been religiously wearing it right up to now with 4 weeks from my due date and I can honestly say I have not seen any new stretch marks appearing and my old stretch marks have faded quite significantly too! I do have to think that it's all down to this amazing combination! As you are meant to start wearing the band from 12 weeks onward you may need to purchase another band when you get to the later stages of pregnancy. Bands are quite expensive at £29.99 but for a product that works I think it's definitely worth it. The bands come in two colours black or pink too! I wore mine from 24 weeks onwards and mine still fits me and my ever growing bump! I know I will be wearing this right up until the day I give birth! I seriously can't recommend this enough, a lovely, lovely product which does exactly what it states! I mean 36 weeks down and not one new stretch mark to show for it! I love putting the band on and slathering the gel and cream on - the only bit of luxury I can get at the moment! It's now just routine, wake up - slather the day gel on and pop the band on ready for the day ahead! Last time round I must admit that I wasn't too prepared with the ol' hospital bag, I mean I only brought one pair of PJ's and had zero nappies with us... yeah! This time round though, I feel I am a bit more prepared and know what to take with us, so I thought I would share my hospital bag list with you, in case any of you first time mummies wanted a look so you don't end up like me or if you think I've missed anything off it please do let me know! Newborn nappies - bring a lot!! Baby Wipes - I didn't use them in the hopsital with Elliott but I will be with this one! This is my list so far, I mean I have a few weeks so I will probably add more to it and maybe take somethings off, but I feel I have covered the basics! Do you think I need to add/remove anything? Create Your Own Hamper at Burble Baby! I'm at the stage of my life where everyone either getting married or having a babies. Mainly the latter, which means I have to find the cutest gifts for all these beautiful babies! Burble Baby have helped me out on many occasions and recently they launched some amazing hampers! There are hampers for any baby related event, whether it be a baby shower or for the new mum! If you want to make it more personal you can create your very own and very unique hamper, select the items you wish to pop in your hamper and burble baby will do the rest. I managed to create my own individual hamper in the space of 5 minutes (although if I'm being honest I did take a good half an hour looking through all this gorgeous bits and bobs!) but once you've picked 3/4 items (you can choose more or less depending on the size of items!) it's super easy and with a couple of click your hamper is off to be created! I created the perfect new baby hamper with some beautiful pieces which would be perfect for a baby shower! I have decided to give the contents away to one lucky reader, all you have to do is enter below and tell me who you would give this hamper too! 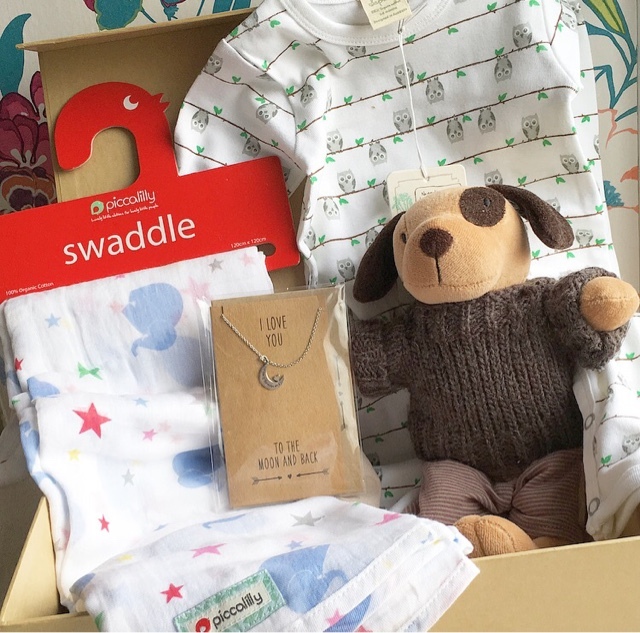 This giveaway is for 1x hamper which contains 1x Muslin Swaddle Rainbow Star, 1x Owl Romper, 1x Ragtails Oscar Puppy, 1x Love You To The Moon And Back Necklace. Giveaway will close on Sunday 10th April 2016. Open to UK entrants only. One winner will be selected at random using Rafflecopter and will be contacted within 3 days of the giveaway closing. The winner has 3 days to claim the prize and provide contact details. Firstly you're going to have a baby! Oh and don't forget this baby is going to come out of you one way or another too... I remember first time round I don't think I truly registered that a baby was away to come out of me, until I was in the hospital saying "Nope, I cant do this!" My advice is take all the drugs they throw at you, I ended up having an epidural and it was the best thing I could have ever done! Second time round 'Epidural' is written ALL over my notes! You're dignity goes as soon as you step foot into that hospital trust me! I remember walking around the room completely naked (I only brought one pair of PJ's and ruined them!) I'm sure Jordan was slightly mortified but at this point I couldn't care less. Even when the midwife was checking to see how many Cm's I was dilated, I lay on the bed, legs wide open with not a care in the world to who was looking down there! You will probably hate your partner until there is a baby in your arms! This is strictly not true for me as once the epidural was in I was back to my normal self, however before the epidural I was a horrible hormonal woman! Everything Jordan did annoyed me, eating all the toast, his chewing was so loud, the way he gluped down his juice, the way he kept saying "Is it sore?" I'm pretty sure if it wasn't for the epidural I would have been a single mum there and then! I have promised this time round that I wont be that woman again...! Bring food/snacks, and lots of it! Although I did this, I couldn't eat any as of the epidural, but it was a god send when I could eat later on that day and through the night, as I didn't like the hospital food. Also, on the way home swing past McDonalds, guaranteed it'll be the best meal you've ever eaten!! I am planning on doing this second time round! Don't worry if you don't know what you're doing when baby is here! I had no clue first time round, I mean the first nappy I had ever changed in my life was Elliott's first poo nappy... I panicked and had no clue what to do with it or him, but the midwives are lovely and are eager to help! Oh little tip, boys usually pee when nappy is removed, there's no point in trying to catch it with that little bit of cotton wool the midwives give you to clean them! You will count the fingers and toes a million times! I remember counting them so many times as I wasn't convinced he had all 10 fingers and 10 toes - he did! Lastly, it's okay if you forget your baby's name! We had picked Elliott's name before he was even here, but saying it out loud was still so strange... I remember a midwife asking what we called him and my mind went completely blank, thankfully Jordan was on hand to tell her! Have you got any labour tips? As I'm sure you all know Elliott and I are big book worms and love nothing better than cuddling up on the couch with a book! We are always on the look out for new books hence why I am part of a fantastic linky called The Weekend Book Club! If you don't know what that is it's a linky where you can add your book reviews - new or old! Recently I have discovered audio books, if I'm honest it I s not something I have ever thought about as I do love physically picking up a book and reading it. I have since found out that audio books are great for long journeys in the car or if you are out for a walk etc. You can most definitely still get lost in an audio book even though someone is reading it to you! We use Audible.co.uk which I think is just brilliant as they have so much choice, not only does it have a fantastic range of adult books, the children books are just as amazing! It's super easy to use too, just simply download the app and have a browse! With over 200,000 books, you'll be stuck for choice! The wonderful people at Audible.co.uk have offered my readers a 30 day FREE trial to see for themselves! All you have to do it click the link here - www.audible.co.uk/beauisblue, sign up and start using today!! Have you tried Audible.co.uk yet? 1. "Aww you're not really showing are you?" Are you serious, I am bigger now than I was with my first born. I feel like a whale and nothings fitting anymore! But thanks for telling me my bumps small. 2. "Was it a planned pregnancy?" Oh thank you for that slightly awkward question, yes, it was planned. 4. "Is he happy you're pregnant?" No, he’s absolutely devastated, cries himself to sleep most nights. What do you want me to say? 6. "Oh, will you have third? It might be a girl!" Nope, two boys are fine for us. But thanks for thinking a girl would complete our family! 7. "Will you be breastfeeding this one?" Nope, Elliott was fine with a bottle so I'm sure the next will be perfectly fine too. 8. "When is your due date?" Please stop asking, I will only tell you the middle of May. If you're this bad already what are you going to be like when I go overdue? Oh wait... you'll never know! The One Grab Kitchen Towel! I believe I could not function properly in the kitchen without kitchen roll. A strong statement you may say but I use it for EVERYTHING! Wiping up, cleaning up, cooking and just general waving one after a messy toddler! So when Ora got in contact and offered us a stack, how could I not accept?! Ora is a new concept of kitchen towels which promises a one hand grab technique, something I most certainly need with a toddler running around my feet! Ora say that it has twice the number of sheets than your normal bog standard kitchen roll, smaller than a traditional rectangular sheet meaning it's super eco friendly with less packaging and with the one grab technique there is no wastage either! Let me tell you about a scenario that happened just the other day... Elliott asked for a drink, I gave him a cup with water in it, he walked a couple of feet - while drinking - tripped over thin air and practically threw the water all over the wall and floor! I immediately grabbed Ora! I can confirm the one hand grab technique works! Just pinch it at the top and off one comes super easy- perfect when water is soaking into carpet and said toddler is now stamping in it laughing! One sheet wiped up every last drop with absolutely no tearing or disintegrating. I even found that I could wring it out and re use - fantastic for a Mum who is constantly trying to do her bit for the environment! No mess is too small for the tiny but mighty kitchen towel - I have been truly converted and will never look at an ordinary kitchen roll the same way! 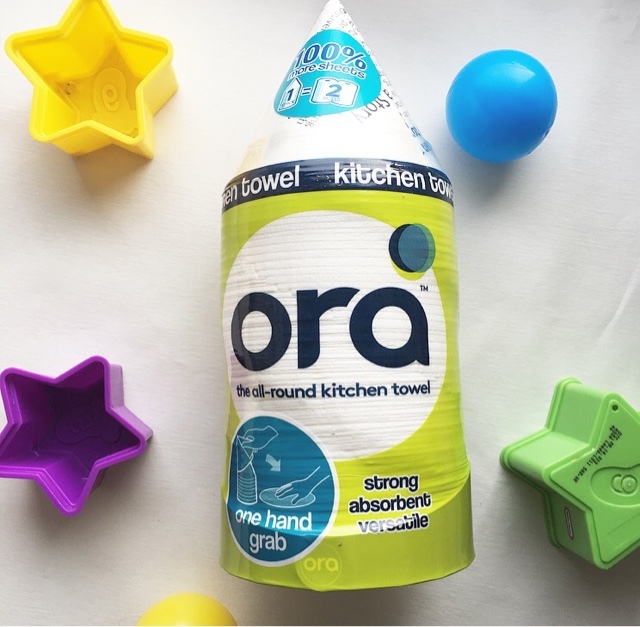 Ora have kindly offered one of my reader a stack of their own, all you have to do is enter below and answer a simple question - How often do you buy kitchen roll? Leave your answers below! This giveaway is for 1x stack of Ora Kitchen Towels. Giveaway will close on Sunday 20th March 2016. Open to UK entrants only. The prize will be sent directly from Ora. Fun Activities That Cost Nothing! Being pregnant and having a tilted pelvis I am finding it harder to do 'fun' things with Elliott. I mean we do so much at home and we do attend a toddler group but other than that I feel we don't do that much if I'm honest. Before falling pregnant soft play was always the road I would go down if I was feeling like this, but it's just not feasible now so with that I had to think of other things that would interest a one and a half year old when it's still a little cold outside. If I'm honest I didn't realise how much things were on my doorstep that cost nothing at all! Like going to the park for an hour or feeding the ducks. 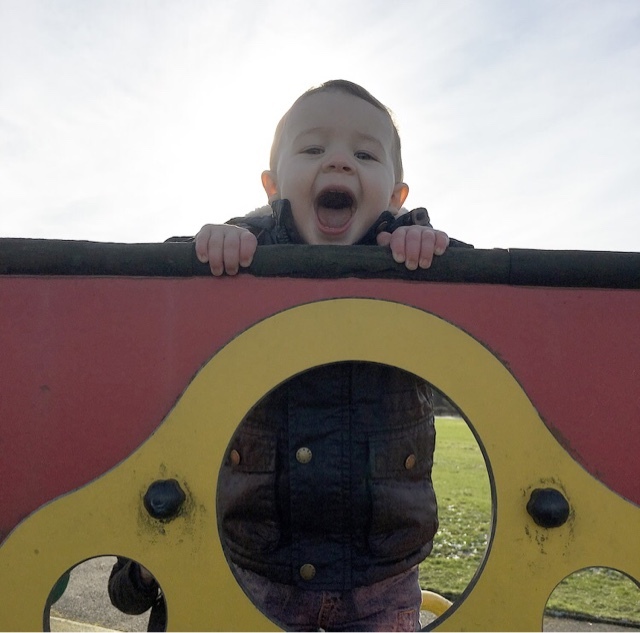 We don't have a park in our village so we do have to hop in the car, but for an hour of climbing and going down the slide lets him burn off so much energy, which in turn makes him nap that little bit longer - win win! Feeding the ducks is another massive hit with him! He loves to carry the bread and throw it to the ducks. The excitement on his face is priceless! I always thought that for Elliott to have fun I needed to spend money, well now I know that he can have the most fun with no money spent at all! I cannot wait for the nicer weather to come and to go out for nice long walks in the sun and have picnics in the park. What's your favourite thing to do that doesn't cost a penny? I'd love to know! Preparing Toddler for a New Baby! Elliott actually got a baby dolly for Christmas and it is one of the presents that he cuddles, feeds it his snacks, wipes it's nose/face, make us dress the dolly just for him to remove all the clothes again. It's things like this that makes me excited and hoping the will be the best big brother around! I am now on the look out for anything to help him realise he's not going to be an only child for long, so when Orchard Toys got in contact with a new game aimed at soon to be older brothers/sisters I jumped at the chance. 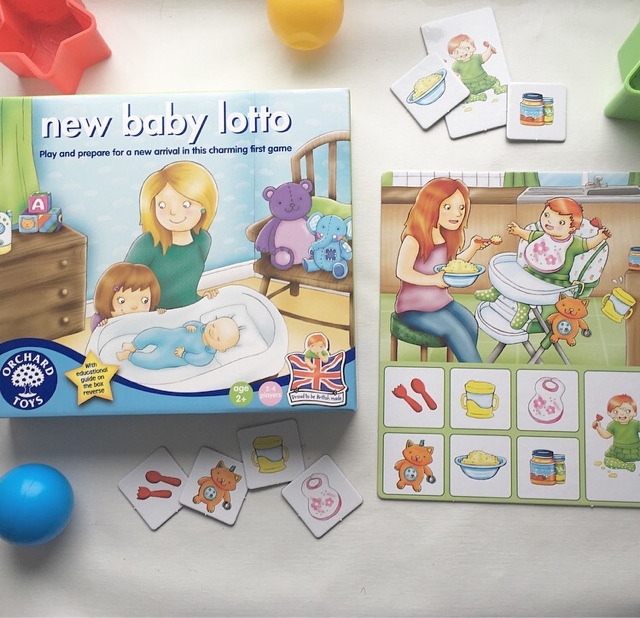 New Baby Lotto (£9.50)(*) is a board game in which you match the pictures to the ones on the picture board. This game is designed for 2 years+ and can be played with up to four children. We don't really play it the way you're meant to as Elliott doesn't really it but he's learning. I hand him the picture and ask him to pop them on the right picture - sometimes he gets it, sometimes he doesn't. This is a great game for memory too as you could turn the pictures over and get the kids to turn the over and match them to the correct picture board. I feel this is not just a game for introducing a new baby to the family but a game which can be and will be played for years to come! We really enjoy playing with the board game and i know Elliott does too as the way he brings it through in his arms wanting to play it makes me so happy. Which is making me think maybe I need to invest in some more! New Baby Lotto helps encourage observational skills, encourages discussion, develops shape and matching skills and helps develops personal and social skills. 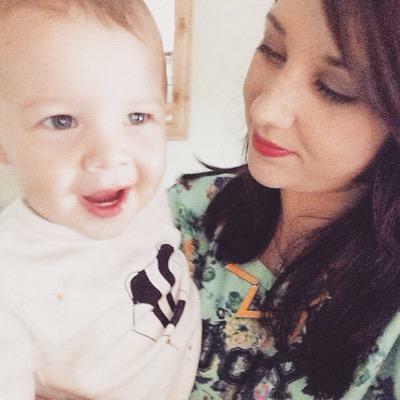 Have you got any tips on preparing a 19 month old for a new baby coming into his family? I'd love to know! 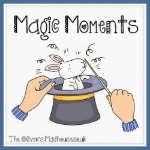 Things I've Learned Since Becoming a Mum! 1. Not one day will be the same. I'm 19 months in and can say that each day has seen something different happen! Every day is a school day as they say and that for me is completely true. 2. Dont worry what other people think of you. It's difficult not to compare yourself to others, but I can assure you they are struggling the same as you - they may just hide it better! 3. White clothes should be avoided at all costs. Don't kid yourself they will never, ever be that crisp white again, no matter how many times you wash them! 4. Your house is allowed to be messy. Don't forget you have a child, your house doesn't have to be a show home. Afterall a house with toys scattered everywhere will most certainly be a happy house filled with the best memories! 5. Take advice with a pinch of salt. They think they know everything and will chip in with advice on how to look after your child. As good as people’s intentions are, everybody is different. What works for them doesn't mean it’ll work for you and your baby, and vice versa. You're doing a fantastic job! 6. Presentable in 15 minutes? Not a problem! Who knew that you could be presentable in less than 15 minutes?! I have this down to a fine art now. Time is everything! I'm ashamed to admit that before Elliott was here I would take a good half an hour - maybe more! What the hell was I doing with the rest of my time?! 7. Secret eating is okay, no one will judge! Please tell me I'm not the only one that has hid in the bathroom with a bar a chocolate and inhaled it in the space of 2 minutes just because you didn't want to share? I can tell you it tasted amazing and you small child, will never know about it! 8. Patience is a virtue. You may never have said you were a patient person but a child later and you'll have patience you never knew existed! Trust me! 9. You can never take too many photos! Don't worry that you have used up all your iphone's storage with 38629123 photos and had to buy more storage. You need that photo of him doing exactly the same pose as yesterday! 10. You'll appreciate your Mum. Once you become a Mum you really do realise how much your own Mum did for you. They had it hard - there was no Disney Channel back then!